Wyoming is one of the most striking landscapes that American has to offer. A true American West outpost, the beauty of the open spaces and magnificent mountains combined with fascinating historical sites will call to families looking for an enlivening active vacation. With Yellowstone National Park, the Grand Tetons and several national monuments the outdoor recreation opportunities are endless here. winter and summer. A stay at any of Wyoming's Vacation Rentals By Owner will put you right in the backyard of your choice among The Cowboy State's natural wonders. Whether exploring Old West towns or taking advantage of pristine lakes, grasslands and peaks, you can take advantage of Wyoming Vacation Rentals By Owner near any of the state's breathtaking offerings. Yellowstone National Park was the first national park in the world, and attracts two million visitors a year. Teeming with extraordinary wildlife, the park is stunning with its remarkable geothermal features, especially geysers such as the popular Old Faithful Geyser. Hiking, camping, boating, and other recreation is plentiful with its lakes, canyons, rivers and mountains. The beauty here is incomparable. The jagged Grand Teton offers a challenging climb, but there are many other family-friendly ways to sight-see in the park, with over 2,000 campsites and 1,000 miles of trails! Snowmobile tours offer family fun in the winter. Devil's Tower National Monument offers still more striking rock formations. And of course, the showstopping Grand Teton National Park is a heavenly getaway and outdoors paradise. Jackson Hole just might be the crown jewel of Wyoming, with its friendly mountain town vibe and the Grand Tetons rising up majestically in the background. Summertime offers hiking, climbing and mountain biking, plus festivals, concerts, shopping and dining in the quaint village. You can even watch live re-enactments such as Old West gunfights recreations. Winter brings some of the best skiing in the country; Jackson is renowned for its slopes. A blend of cowboy and Native American influences give the town--in fact the state--charm and color. Cheyenne Gunslingers is a family-oriented performance venue offering western skits, "gunfights" and other Wild West activities. Cheyenne is Wyoming's capital city and features more than 50 different locations that are on the National Register of Historical Places. 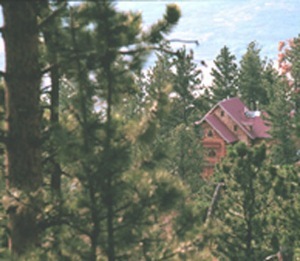 Nelson Museum of the West and the Cheyenne Botanic gardens are popular visit attractions. The rest of Wyoming is dotted with Old West landmarks. At Big Lincoln Head in Laramie, Abe's monumental head looks down from the highest point of the old Lincoln Highway. The Buffalo Bill Historical Center in Cody, Wyoming, weaves the stories of the Old West into an educational celebration of its fascinating history. Make a stop in Rawlins and view old frontier buildings such as the Rawlins Masonic Temple and the historic Wyoming Frontier Prison, which is now a museum. Experience the Great Plains and the Rocky Mountains from the comfort of a home base in one of Wyoming's Vacation Rentals By Owner. Available in a range of styles to suit every budget, you'll love the way you can enjoy many of the amenities and conveniences of a hotel or motel with more privacy and better prices. Start and ends your busy Wyoming days in comfort and relaxation in your home "On the Range!" Check out nearby Cody .